Home » Articles » Articles Tagged With "Summer Camp"
Articles Tagged With "Summer Camp"
There are 20 articles tagged with "Summer Camp". 10 Camp Search Questions By Jess Michaels To ask when looking for a summer camp. 6 Summer Camp Benefits By Jess Michaels You may not know. 8 Tips By Jess Michaels For preparing your child for a successful camp experience. Camp Considerations By Alan Saltz A program director shares expert advice. Choosing a Camp By Jess Michaels Considerations for summer planning. Cool Campers By Scott Arizala Summer programs have myriad benefits. Is Your Child Ready for Camp? By Jess Michaels Questions for parents to consider. Make a Plan By Dr. Scott Barkin Insight for special needs families to gear up for a fulfilling summer. 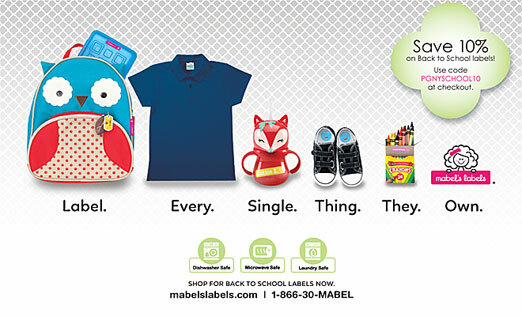 Six Useful Things to Pack for Sleep-Away Camp By Mabel's Labels Including things which you may not have thought! Sports Safety By Rich Brugger Summer camp and program considerations. Summer Camp Done Right By Dr. Christopher Thurber Preparing for a successful camp experience. Summer in the Sun By Dr. JJ Levenstein M.D., FAAP Preparing kids for a safe and healthy camp experience. Sunny Days Ahead By Catherine Pearlman, LMSW Preparing children for the camp experience. The Camp Bus is Around the Corner By Faye Sager Six tips for choosing a summer camp. The Camp Connection By Jenna Hammond Seven tips on sending care packages to campers. The Fateful First Day By Scott Umbel Preparing for a great start to summer camp. Therapy Moves Forward By Don Scott Matthews, OT, MS Changing the lives of children with special needs.